Mr. Scratch came back, and this time he made good on his promise to mess with Hotch's mind. He wasn't alone, either. 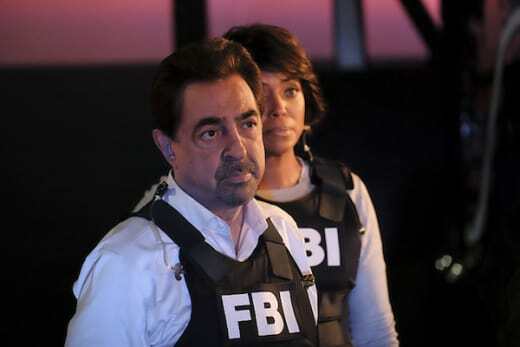 He engaged Antonia, her son and a host of anarchists and serial killers in an exciting, helicopter-destroying season ender, on Criminal Minds Season 11 Episode 22. 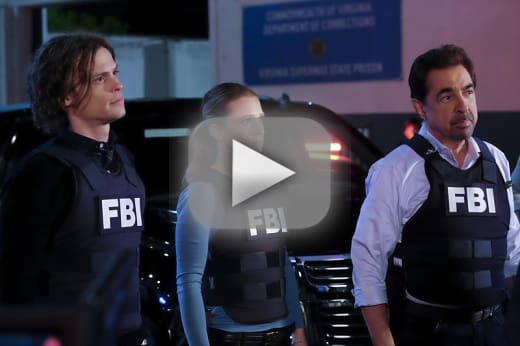 Pull up a chair and join in the discussion with TV Fanatic panelists Stacy Glanzman, Carissa Pavlica and Douglas Wolfe as they discuss the above and more on the Criminal Minds Round Table. Mr. Scratch really did a number on Hotch back on Criminal Minds Season 10 episode 21. What are your thoughts on that? Did you think, even for a moment, that the psychotic break to which Agent Ritchie referred had come true for Hotch? Stacy: No, I never doubted Hotch or thought that any of it could be true. I knew the team wouldn't either and they'd come through for him. It was a pretty elaborate set-up though. Mr. Scratch is damned creepy. Carissa: I kind of hoped it might be true from the preview, only because it would be such a huge thing to happen to such an in-control man. But once the show started, there wasn't a chance. Doug: Before Reid found out that Hotch's 911 audio had been doctored, I had a momentary doubt. I still vividly recall his unnerving laugh after Mr. Scratch was done with him on Criminal Minds Season 10 Episode 21. Note too that DoJ Agent Ritchie said that all of Mr. Scratch's victims experienced a "psychotic break." What makes Hotch so different? I'm of the belief we may still get to see that happen in the next season. Share your thoughts on Rossi and Hayden. Can their relationship survive? Stacy: I really like them together and I'm rooting for their relationship. Rossi has changed a lot and finding out he had a daughter played a big part in that. I think things can be different this time around. Carissa: I don't like them. Hayden is holding onto the past too tightly. In fact, I have seen nothing to indicate these two have anything in common in the present to bring them back together other than they didn't make it in the past. Hayden is too wary to let go of her issues, and without a really good support group to get her through, I wouldn't see it happening. Except for the writers who will make it happen, probably for the sake of drama. Doug: I don't like their chances. Did you notice the forlorn and lost look on Hayden's face when the team suddenly left the party at the end? That pretty much says it all. The emphasis for the breakup has all been on Rossi's side of the relationship and how he failed her, but let's face it: she's not exactly a strong mate either. She fled their relationship without word or without telling Rossi she was pregnant. She's a genuine flight risk. 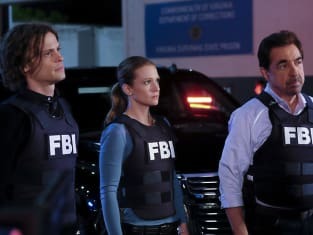 What are your thoughts on the BAU storming the prison with the SWAT team? Stacy: I was on the edge of my seat throughout the whole thing, especially when Tara was surrounded by all those killers. They did a great job amping up the intensity for the finale. I loved every minute of it! Carissa: I thought it worked out really well. 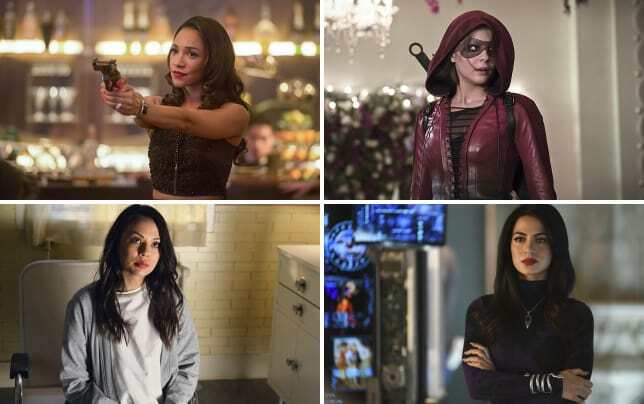 I really thought they were going to set up Tara to disappear for Season 12 (it's a go, people, it's a go!!). I hope she sticks around, because I like her more and more all the time. Doug: I get antsy on all of these shows when the SWAT team goes in, with full body armor and helmets while the main cast goes in without head protection. They just look too vulnerable, which, as Stacy pointed out amps up the intensity tremendously. I was on the edge of my seat too. I was pretty sure Tara was going to make it out alive though. Is Jack going to be okay? Stacy: Yeah, I think so. He definitely has his father's stoic personality. This might stick with him for awhile, but Hotch will be there to reassure him and I think he'll be okay. Carissa: I think Jack was most affected seeing his dad afraid and out of control, but still in police mode. Knowing what he does everyday and knowing he might not be able to fix every situation is really scary. Hotch will have to reassure Jack. Who knows if it will be OK? Families crack under less pressure. Doug: I'm with you on this one, Carissa. Jack's a question mark at the moment, as all of his childhood beliefs about his dead lay crumbled beneath his feet. Aaron is vulnerable, and not at all like Superman. Stacy: I think I have to go with JJ questioning Antonia and saying "that was before your son had guns pointed at my son." Carissa: I enjoyed seeing Reid talk down Antonia's son. He did such a good job, and it turned a stressful situation into a sweet one. I hate seeing people being taken advantage of. Frances Fisher delivered that line so perfectly you could feel the weight of it. Perfectly cynical, and entirely patronizing. I loved it. What are your hopes for Season 12? Stacy: Well first that there is a season 12. Assuming there is, I'm really looking forward to seeing who the other 12 escapees end up being. I imagine there will be some familiar faces in there, as well as some new ones. I like the idea of a serialized story to go along with the case of the week. Carissa: Well, there IS a 12th season, so we're in the money! I hope Tara sticks around. I'm interested in seeing this story play out with the 12 escapees. It's reminding me of Nikita for some reason. It's a good way to tie the episodes together week by week, while still allowing for individual cases. It should be great! Doug: While the last few episodes have been good, I'm still feeling the void left by Shemar Moore, and the energy he brought with his portrayal of Derek Morgan. I hope they find a way to mitigate his absence, the way the writers of NCIS did, when Cote de Pablo left.